The first thing that strikes us is that this Indian adventure sports a rather colourful art direction. Every flourish of your blade fills the air with what seems to be rangoli and stabbing enemies results in a fountain of blood. Palaces, city streets, and forts all make an appearance, making for a more vibrant-looking game. This is in sharp contrast to the dull environs that marked the levels of the previous entry. Gameplay appears to be expanded as well what with violent, non-violent, and stealthy ways to approach an objective. However much like earlier entries, it pays to ghost through a level. "Both stealthy and assault play styles will earn you XP [experience points] which can be used to unlock new abilities and upgrades to enhance your experience," Duff says. "Bonus XP is rewarded if you complete levels unseen." Perhaps the biggest surprise is the fact that one of the missions has you being chased by an elephant, which leads us to believe that stealth may not be the only way forward. The weapon set appears to be enhanced too. Chakrams - disc shaped weapons that can be used as throwing knives and in hand-to-hand combat - and talwar swords can be honed in battle. There's even a new spin on the signature hidden blades that's now shaped as a trident. 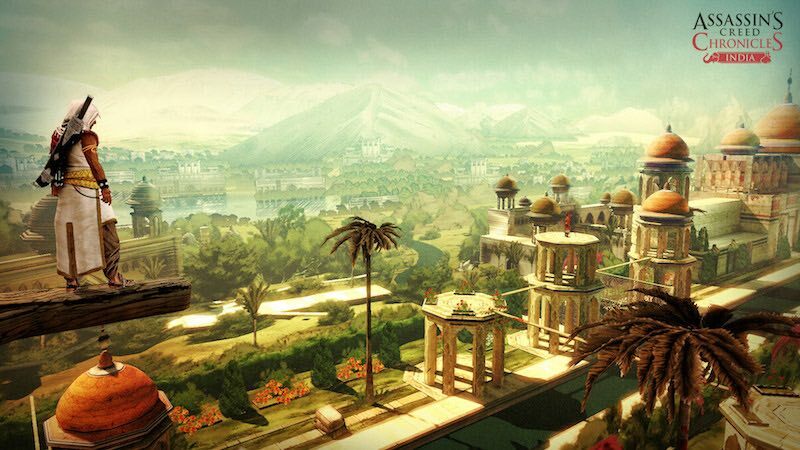 All in all, it looks like Assassin's Creed Chronicles India builds upon what made Assassin's Creed Chronicles China fun to play while adding a sense of intensity that gives it a distinctive feel. It makes us hopeful when it hits on January 12 digitally for the PC, PS4, and Xbox One. A PS Vita release will follow later in the year. While there's no price up yet for any platform, it should be around Rs. 299 on PC, Rs. 832 on the PS4, and Rs. 586 on the Xbox One, which is what Assassin's Creed Chronicles China is priced at on Steam, PSN, and the Xbox Store respectively.